Some people just can't stay busy enough. Take Shivani Baker for instance. Loving mom to 3 beautiful daughters from India, she still felt a tug to do something more. Even before adopting her daughters, Shivani was a “giver”. One of those people who see a need and steps in to fill it. 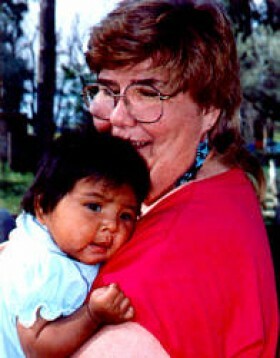 Years before adopting, Shivani heard of 3 Native American infant triplets that were in dire need of food and clothing. The triplets and their mother live on the Pine Ridge Indian Reservation in South Dakota and Shivani made up her mind to become their “special friend”. That was 11 years ago. Along with making some of the best friends of her life through her sponsorship of the Lakota triplets, Shivani found out that there are a lot more children who could use a “special friend”. Most people in America cannot even imagine that there is a place in the U.S. where the median income for a household is only $2,400 a year. Where the unemployment rate ranges from 65-80% and many households are without plumbing or electricity. Where the nearest town is 100 miles away (Rapids City, SD), but most folks don't have a car to get there. A place where the inhabitants can't even own their own land, because the U.S. government holds entitlement to all 2 million acres of the reservation. Through friendships she established with the Lakota Sioux elders, Shivani learned that their was a very great need for children to have contact with families outside of the reservation. And so one day she decided to help----and by doing so she has changed the lives of some of the reservation's children. Printing up flyers and handing them out to people in her community seemed frightening at first...but yielded huge results. What Shivani learned was that people WANT to help. The flyers simple stated, "Would you like to become a special friend to a Lakota child?" and the phone calls started pouring in. Circle of Children, a sponsorship program that matches a sponsor family with a Lakota Child on the Pine Ridge Reservation was born. A small organization, Circle of Children is headed by Shivani and a board of Lakota men and women who help link COC with Lakota children who could use a special friend. All the children live in families, but few have had much contact with people off the reservation. All are impoverished but part of a very rich and beautiful culture. Many of the parents recognize sponsorship as an opportunity for their children to bridge their Native American heritage with the "outside" culture. What is truly unique about this program is the personal nature of the sponsorship. The idea is for sponsors to develop a friendship through letters and/or phone calls with the child. Yes, their is a financial donation asked, but not the normal $20 a month, just a simple yearly sponsorship commitment of $75 and the agreement to provide your sponsored child with a short, simple list of school supplies. Pencils, pens, markers, a notebook....something you can easily pick up in the store is simply not within the reach of many of these families. Sponsors are also asked to remember their special Lakota friend on his/her birthday and at Christmas. About a year ago, I heard about Shivani and Circle of Children . My own children have come from China and Korea, and our family sponsors children in those countries. We keep their photos on our fridge. 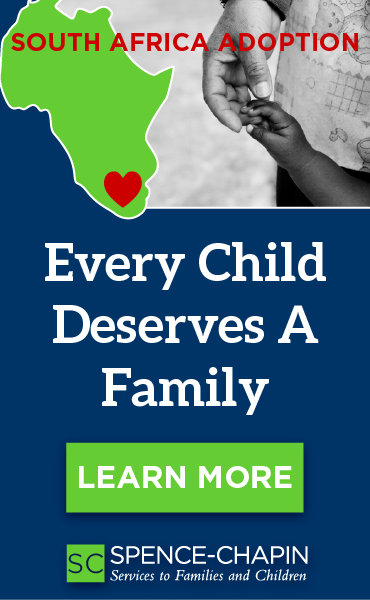 The idea of sponsoring a child closer to home, one that could speak English, intrigued me. When I wrote to Shivani I asked to sponsor a girl close to my oldest child's age. Shivani happened to know a special little girl just waiting to be matched. I can say with all honesty, the match is a true one. Our special friend is more than just a "sponsored child". She is a truly a gift to our family. Appreciative, sweet and so very proud of her heritage and family. She has taught my children how different and yet the same we all are in this world. Next summer we are hoping she can come to stay with us for a few weeks. While shopping for my children's school supplies this week, I picked up our "special friend's" supplies as well. In a letter I recently wrote to her, I asked what size pants and shirts she was wearing, and if she would mind if I bought her a few things. What would she want? Her reply, "Anything you buy me is fine. I wear everything you send and I am not at all picky. Thank you." And I know she means it. Circle of Children is not a big organization. It's just run by a woman with a very big heart. Shivani doesn't have an office, the copy machine she uses is on its last leg, her computer is a dinosaur. But their are castles in Heaven for people like Shivani Baker. Recently Shivani told me that they have 27 children waiting for sponsors. Kids who will go to school this year without a notebook or new pencils. When she places all of those kids, she says, she knows there will be 50 more applications to go through from Lakota families hoping for a special friend for their child. I told her to go ahead and go through those applications, because the RainbowKids readers have big hearts. Don't make a liar out of me, now. Make a difference in the life of a child today. The school year begins August 17th for the Lakota children. They thank you, and I thank you.